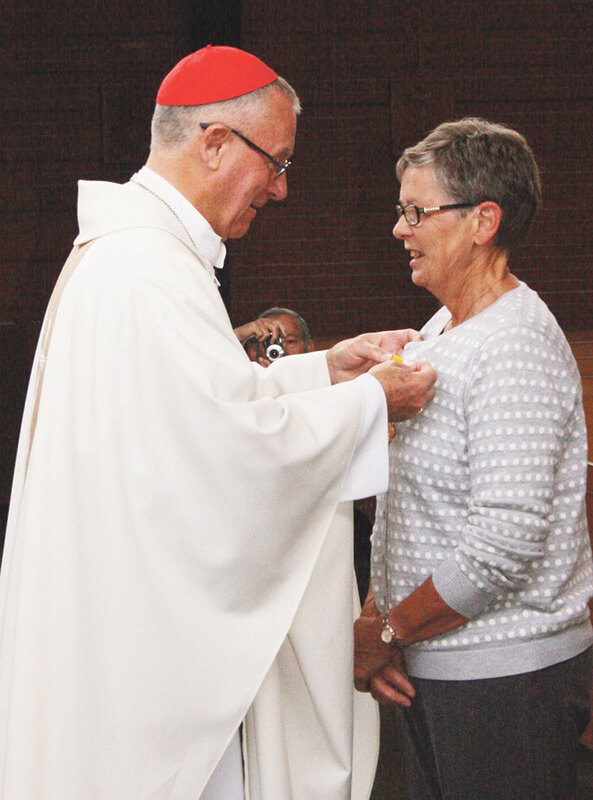 Papal Medal for Margie Crook. WelCom July 2017: Cardinal John Dew presented Margie Crook a Benemerenti Medal on behalf of Pope Francis at Mass at St Benedict’s Church, Khandallah, on Sunday 23 April. Margie was awarded the papal honour for her services at St Benedict’s parish as secretary for 19 years, from which she retired last year. During those years Margie worked with six parish priests. Margaret now lives in Tawa but remains faithful to St Benedict’s where she is involved with the Catholic Women’s League and St Benedict’s music group. The Benemerenti Medal is awarded by the Pope to members of the clergy and laity for service to the Catholic Church.